Don Falgate's crew and aircraft. 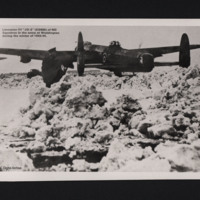 Snowy landscape, snow piled up in foreground, two individuals facing away from camera, Lancasters in the background. In foreground, large bomb on its trolley, standing behind seven aircrew in flying clothing, Lancaster in background. Lancaster JO-P taking off. 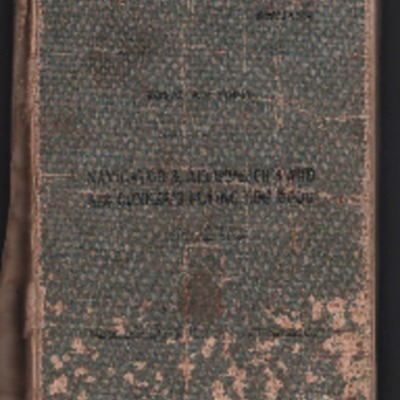 The photograph has been censored where the H2S and Monica aerials are. 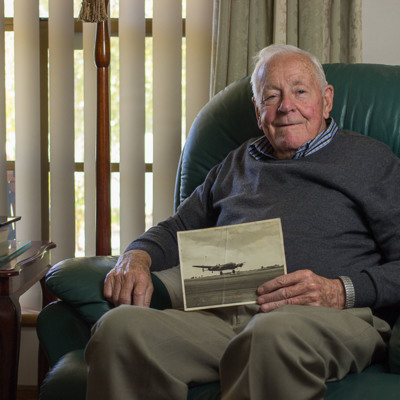 463 (RAAF) Squadron was formed in November 1943, as part of 5 Group Bomber Command, from C Flight of 467 Squadron. 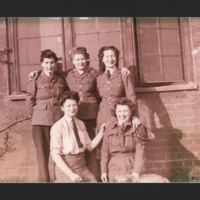 It flew Main Force operations until it was disbanded in September 1945. Three Lancasters parked, rear two in echelon behind and left. 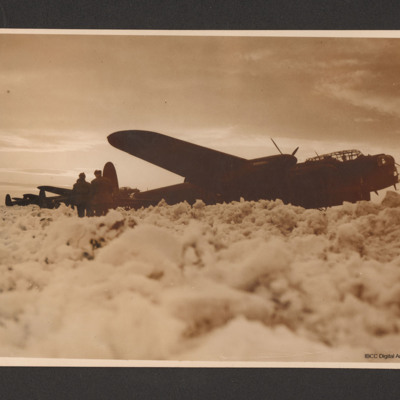 In the foreground two ground personnel in leather jerkins in front of the tail of the first aircraft and piled high snow. 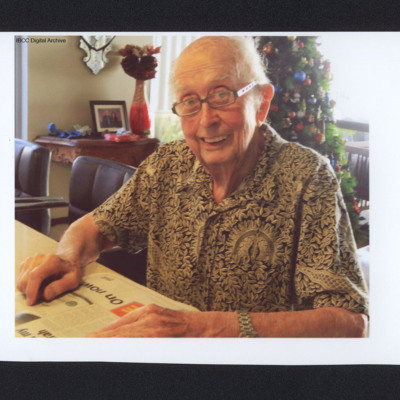 Full length portrait of Flight Sergeant Bateman. 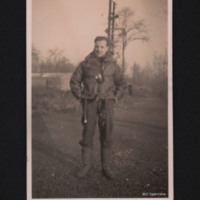 He is wearing a sheepskin flying jacket and is standing with his hands in his pockets. 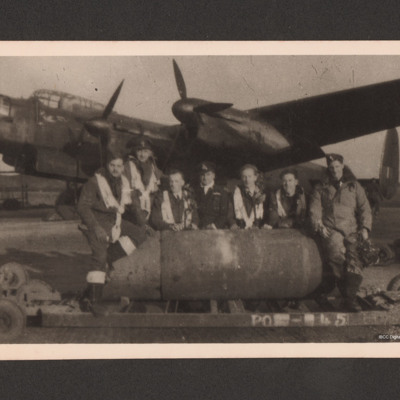 On reverse ‘F/S Bateman 463 sqdn’. Lancaster, ED806, rear/side view, surrounded by snow. In foreground an airman with his back to the camera. 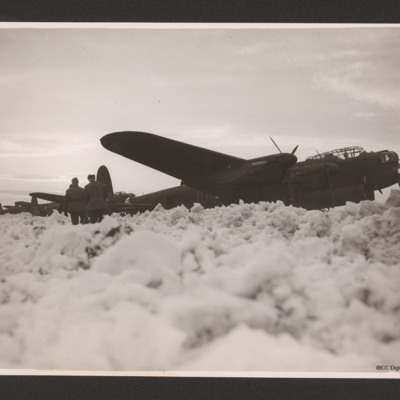 Captioned ‘Lancaster III “JO-E” (ED806) of 463 Squadron in the snow at Waddington during the winter of 1943/44’.